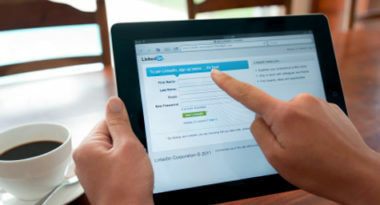 LinkedIn has recently updated its company page feature to help members become more involved and connected on the network. SocialMediaExaminer.com offered advice on making the most of the newest networking features. 1. Use New Features to Enhance Your Company Page – Your LinkedIn company page can be more engaging and effective by enabling you to integrate media-rich content, add detailed company descriptions, and include status updates. 2. Aim to Attract More Followers – Ask associates, employees, industry peers, and even vendors to link to your page, and then follow their pages in return. Either inquire directly or send an announcement to your personal connections and politely ask them to follow you. 3. Network With the People You Follow – Once you’ve persuaded more followers to engage on your page, reciprocate by engaging on their pages. Praise their accomplishments, offer recommendations for their job opportunities, and thank them for supporting your efforts. By exhibiting such respect, you’ll certainly gain theirs. 4. Make Your Pages Worth Following – While it’s tempting to make your company page all about you, use it to engage your followers by posting interesting industry information, value-added update, and compelling media that make people want to see what’s new with your company. 5. Monitor Your Progress – LinkedIn provides useful tracking tools to monitor your page activity, so take advantage of them. They’ll let you see who has visited, engaged, and commented on your updates so you can determine your page’s effectiveness. LinkedIn continues to prove its worth as a professional networking resource, so make the most of its many features to make your company page as engaging and valuable as possible. If you’re interested in discovering innovative uses of social media to market your company, contact MDG Advertising today at 561-338-7797.